What's new on version v7.2019C? Completely redesigned one-page dispatch with brand new features: full order info with one click modify option (no need to open the order anymore), trailer to follow the driver for the day, off-duty drivers, etc. What's new on version 6? Adding new features to improve the dispatcher work: transit time is now calculated on waybill creation, adding Last free day of detention for containers, Prepulled containers show on Pending for the appointment day and much more. Improve operational efficiency with fully-integrated EDI solutions with leading shipping companies. Improve back office efficiency with fully-automated solutions for invoicing. - Apply rates automatically: rates are applied automatically when the order is marked as delivered. - Validate each order: add/edit extra charges such as genset, waiting time, prepull, or just add your own extra charges. - Auto-create / Send PDF invoices: invoices are auto-created twice a day and you have the option to send them automatically to your clients' inbox. Improve accounting efficiency with fully-integrated solutions for Sage 50. 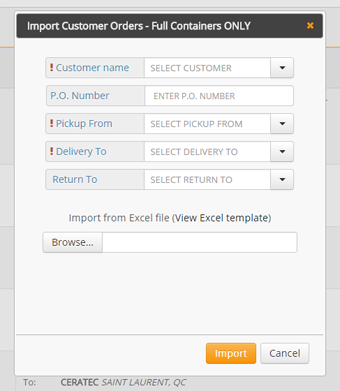 - Export invoices: manual or automatic export of all invoices created with Express Waybill. 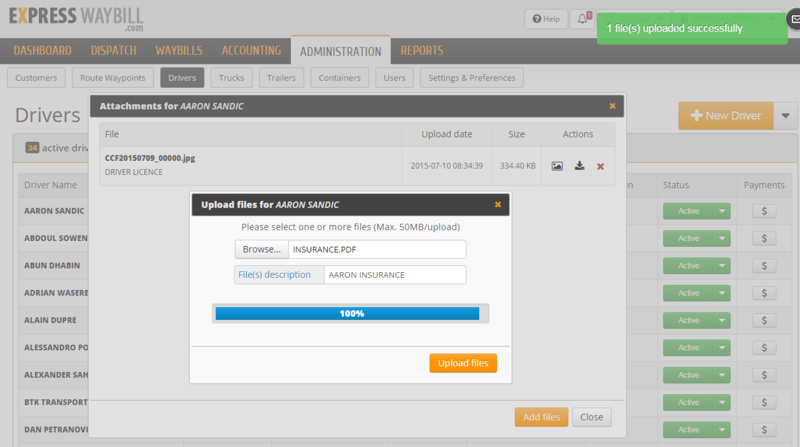 - Import invoices: manual import invoices to Sage 50 using a .imp file. 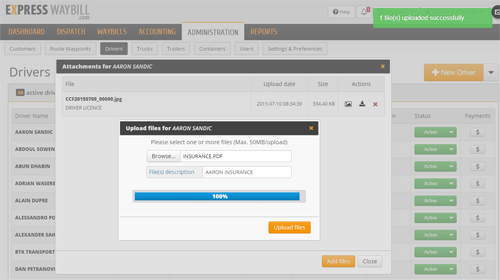 File management system for waybills, customers, drivers, trucks and trailers. We'll contact you in the next 24 hours to schedule the specific date and time for your personal on-line demo. We'll keep your email address and any submitted information confidential, and we'll not sell nor give it to any other third person or company. We'll not push you to buy anything, not sending you spam nor signing you up for a mailing list. We hate these marketing techniques as much as you do. We are proud to be part of Freight Trucking & Containers (North America) Facebook group.